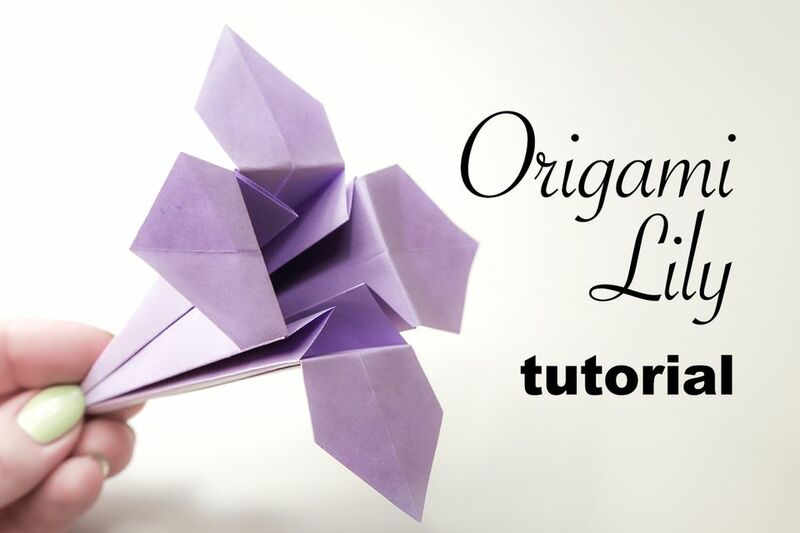 .Learn how to make an easy origami lily flower using these simple step by step instructions! This traditional origami model uses only one sheet of paper and takes about 5 minutes to make. This origami model would suit those who have already folded simple models such as the origami masu box. For a simpler model, maybe try the origami sailboat tutorial. 1. Start with your paper white side up if you have one. 2. Fold the paper in half diagonally and unfold. 3. Fold the paper in half diagonally the other way and unfold. 4. You should now have two diagonal creases. 5. Flip the paper over. 6. Fold the paper in half as shown and unfold. 7. Fold the paper in half as shown. 8. Hold onto the bottom triangle and open out the top right area and bring it down to meet the bottom point. 9. Flatten out the crease in the center. 10. Squash the top section down. This is called a square base. 11. The open end needs to be at the top. 12. Fold one layer of the right edge into the middle as shown. 13. Fold one layer of the left section to the middle as shown. 14. Open out the folds you just made. 15. Open out one layer from the right and flatten it out. 16. This should be what you have. 17. Do the steps 12 - 16 for the other layers, 3 more in total. 18. Make sure the model looks like this - with the layers flipped so that you have the solid section. 19. Fold the right edge into the middle. 20. Fold the left edge into the middle. 21. Fold the other 3 layers the same way. 22. Fold one layer from the top down as far as it will go. 23. Fold the other 3 layers the same way. 24. Congratulations on a successful origami lily!